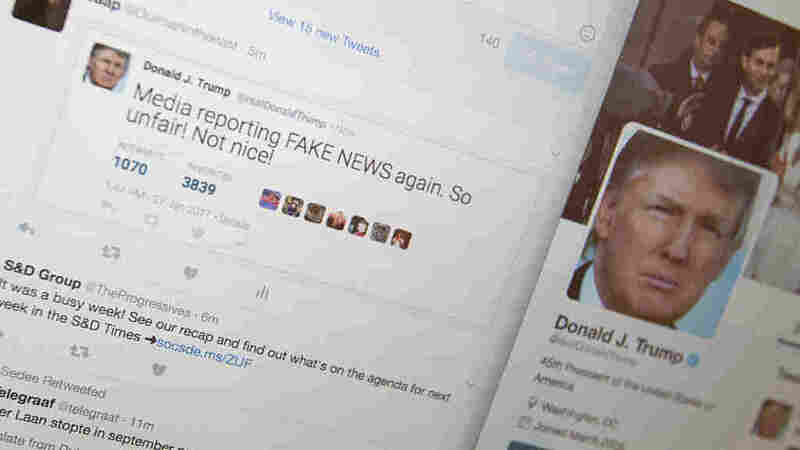 Researchers Examine When People Are More Susceptible To Fake News Whether people consume news in a social setting or alone can affect how likely they are to fact-check. Research suggests people let their guard down when they're in groups and become less skeptical. Whether people consume news in a social setting or alone can affect how likely they are to fact-check. Research suggests people let their guard down when they're in groups and become less skeptical. Fake news - I mean, it seems to be everywhere these days. You have politicians accusing their opponents of spreading it. You have pundits and commentators who are really worried that too many people believe in it. Well, there is new research suggesting that there is something that makes you more susceptible to fake news. And to explain this, we are joined by none other than NPR's social science correspondent Shankar Vedantam. Hey, Shankar. GREENE: So you're telling me that you can make me more likely to fall into the trap and believe fake news? VEDANTAM: I think I can, David. Very simply, being around other people seems to increase our propensity to believe in fake news. GREENE: What? The fact that you and I are doing this together means that we're - I don't believe that. VEDANTAM: (Laughter) Well, I was speaking with Gita Johar. She's a marketing professor at Columbia University. Along with her co-authors Youjung Jun and Rachel Meng, Johar had a hypothesis. Groups trigger a certain attitude in us when it comes to evaluating information. GITA JOHAR: You somehow feel like you're part of a crowd and you don't need to fact check because somebody else will. And maybe down the road, they're going to tell you, hey, you know the thing you were exposed to or that we all read a few days ago? That actually turns out to be false. GREENE: So there's a laziness thing going on. You assume that the person who's with you is going to do the fact check. I mean, this was an actual experiment? How did she test this? VEDANTAM: That's right. She conducted a series of experiments, David. People were presented with ambiguous statements. Volunteers could say they either believed it, disbelieved it or they could keep an open but skeptical mind and demand evidence, in other words, ask for fact checking. Here's the catch. Some of the volunteers heard these claims while they were by themselves. Others felt they were in a group setting or in a social media environment where other people were present and also hearing the same claims. In group settings, people quickly accepted or rejected claims that were in line with their prior beliefs. But compared to when they were by themselves, they were significantly less interested in being skeptical but open-minded. GREENE: Well, that's interesting. So there's a general laziness that can be a problem, but also this group factor comes in when you know someone else is there. You see them or you're on social media with them, you expect that they might do the fact checking. If you're alone, maybe you have to do it yourself. VEDANTAM: Precisely. Now, psychologists have sometimes talked about an effect known as the bystander effect where people in a group will sometimes hesitate to step forward and do something important because each person thinks someone else will step forward and do what's needed. But Johar found that was not the case here. People in groups simply seem to let their guard down. JOHAR: To us, it seems like it's almost something that's evolutionary. It goes back to even herding behavior in animals, the fact that you feel safer in a crowd. And this feeling of safety actually leads to you lowering your guard. So merely feeling the presence of other people seems to make people fact check less and be less vigilant. VEDANTAM: The researchers do find, David, that when you tell volunteers to be on their guard, they are able to be open-minded but skeptical even in group settings. So the bottom line is you can overcome the effect of groups on your behavior, but it does take conscious effort. GREENE: All right. Shankar, well, I have to tell you, I do have an editor here and I'm quite sure he's going to check everything you said because I certainly don't have to. GREENE: That is Shankar Vedantam, who regularly comes on the program to talk about social science research. 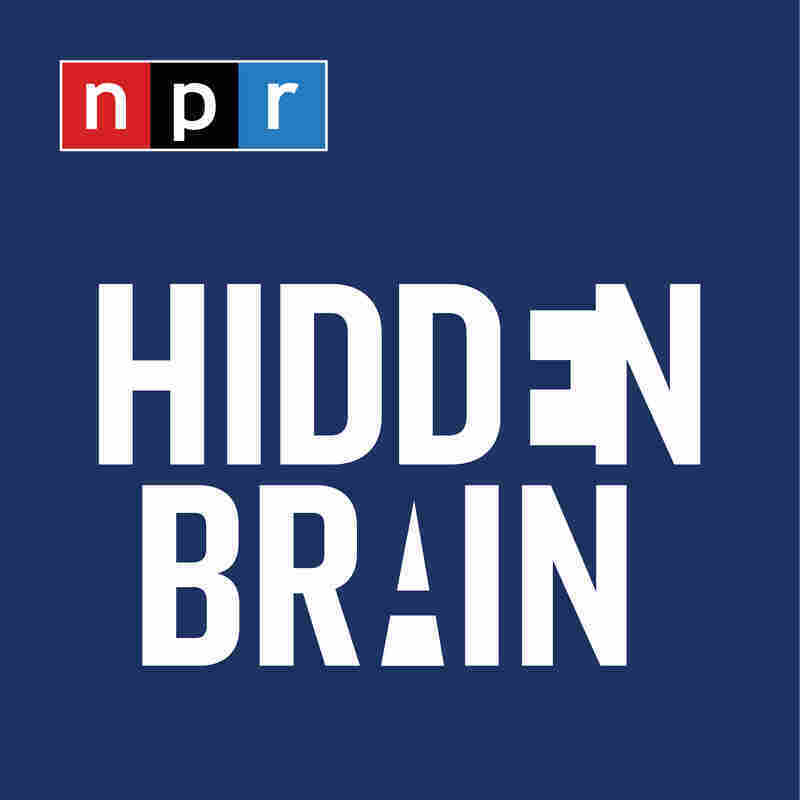 And Shankar explores this topic and a lot of other ideas on his podcast Hidden Brain.